I wish that I could lay a claim to this really excellent and easy recipe—but sadly, I can’t. 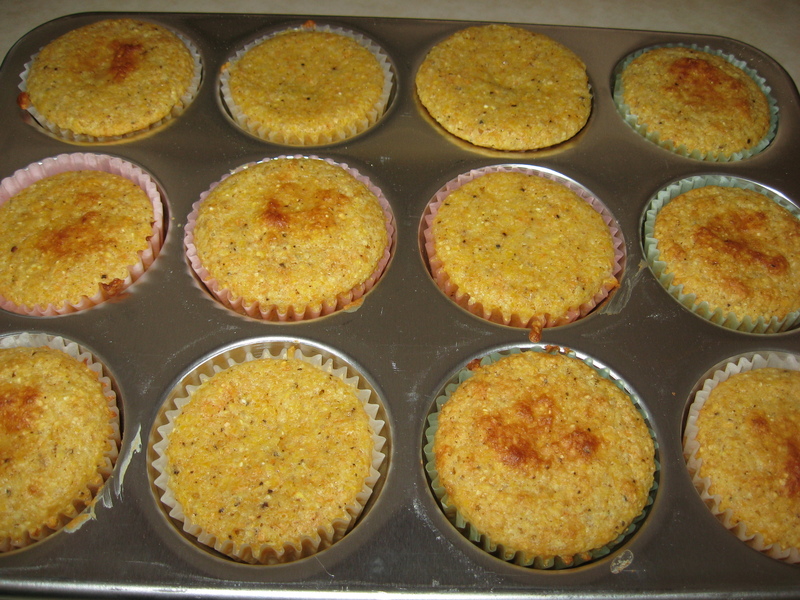 I found it on the internet—as a skillet cake—and turned it into muffins for a breakfast catering job I had. They are really good and very hard to quit at just one. Honey is nice for an accompaniment however, plain is good as well. They are easy to make and I used paper cups which worked just fine. In a bowl, whisk the dry ingredients together. In another bowl, whisk the wet ingredients together. Blend the wet ingredients in the dry ones until blended leaving some lumps. Pour into 3-inch paper cup lined muffin tins and bake at 375 for 18-20 minutes—or till slightly browned on top and a toothpick inserted in the middle will come out fairly clean. Let rest for 20 minutes or so. Skillet Baked Option: Rub or spray a 10” an oven proof skillet with oil and heat it in the oven. Pour the batter in the skillet and bake the bread for 35 minutes—until risen, golden on the top and when a toothpick in inserted in the middle it’ll come out with a few moist crumbs. Let cool for 20 minutes and serve in wedges. Don’t forget to decorate the handle with a tied napkin. Looks can be everything.